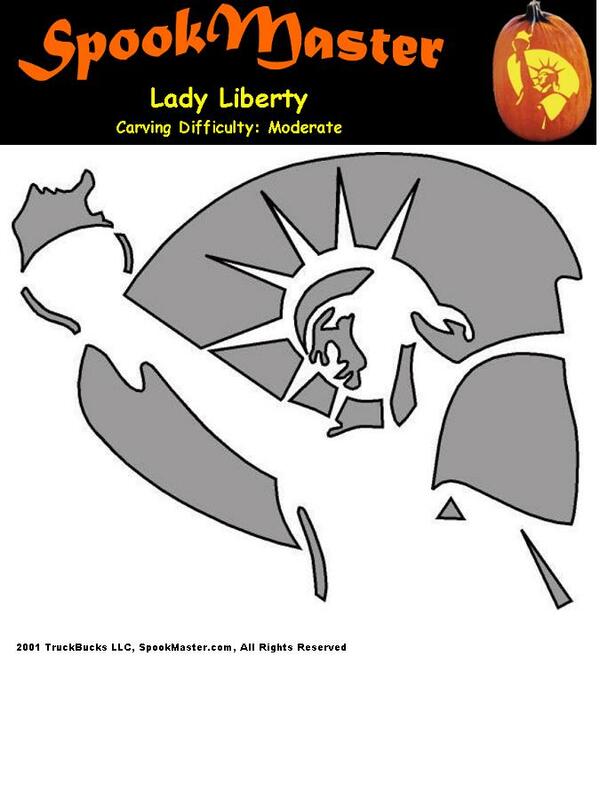 I ended up short on time yet again this year, so I went to http://www.spookmaster.com/pumpkin-carving-patterns/pumpkin-carving-patterns-ladyliberty.jpg and got this pattern and carved it in less than an hour just before the first trick-or-treaters arrived. My daughter and wife insisted that I do something more than the basic triangle eye face I was ready to do... they say I have a reputation to uphold. 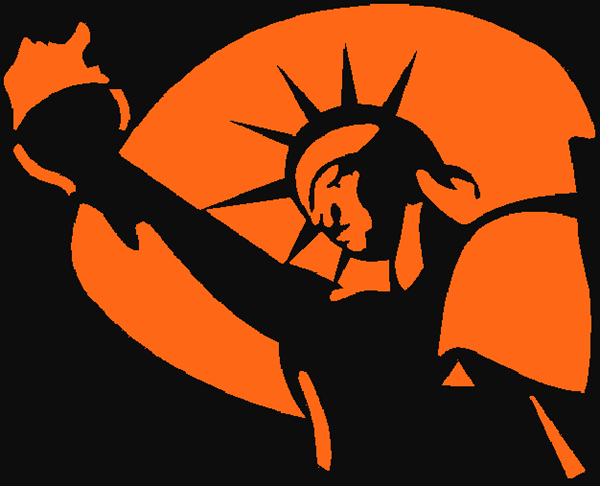 :-) Well, it went over well, and being just days before a presidential election, lady liberty seemed like a good pick. The statue was administered by the United States Lighthouse Board until 1901 and then by the Department of War; since 1933 it has been maintained by the National Park Service. The statue was closed for renovation for much of 1938. In the early 1980s, it was found to have deteriorated to such an extent that a major restoration was required. While the statue was closed from 1984 to 1986, the torch and a large part of the internal structure were replaced. After the September 11 attacks in 2001, it was closed for reasons of safety and security; the pedestal reopened in 2004 and the statue in 2009, with limits on the number of visitors allowed to ascend to the crown. The statue, including the pedestal and base, is closed until October 28, 2012, so that a secondary staircase and other safety features can be installed; Liberty Island remains open. Public access to the balcony surrounding the torch has been barred for safety reasons since 1916.